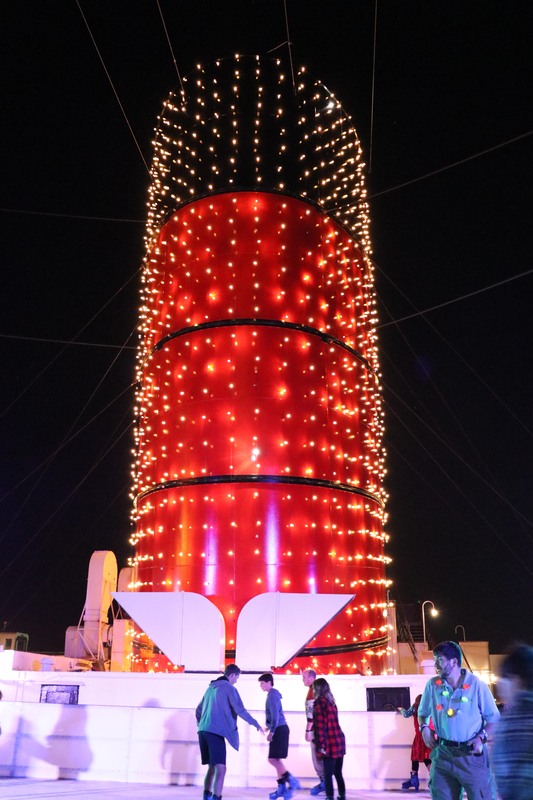 This year, the team at The Queen Mary in Long Beach, California decided to take their holiday event in a more traditional direction as well as taking the festivities aboard the the ship itself. Admittedly, we were shocked that Chill was not returning and we were pretty devastated. We had so much fun eating and drinking through what we called a “Mini EPCOT” right in our backyard. After experiencing this years event, it’s clear the intent was to make the event much more quaint and intimate rather than large and sprawling. In actuality, the event felt more in line with what you may have found aboard the ship when it was still sailing the seas. Even though the event has shrunk in size, there is still a handful of activities and plenty of entertainment to be found. 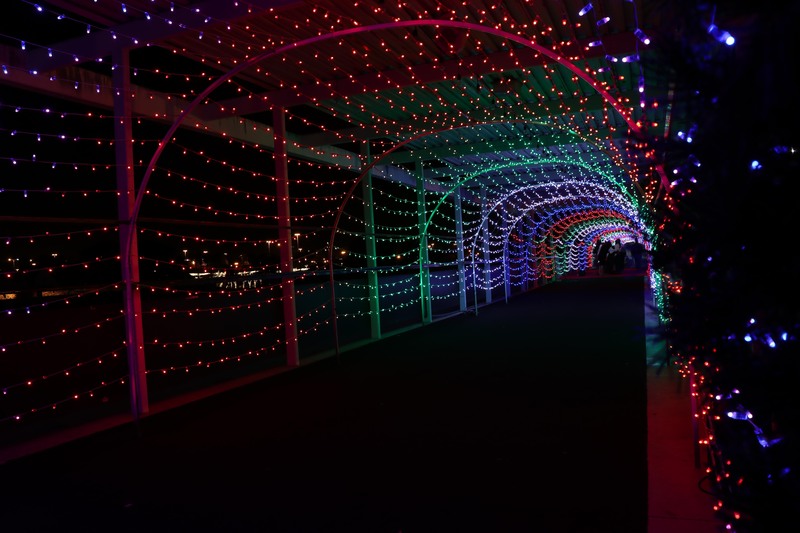 For a flat fee of $20 (general admission), it could easily be seen as a fun date night during the holidays. 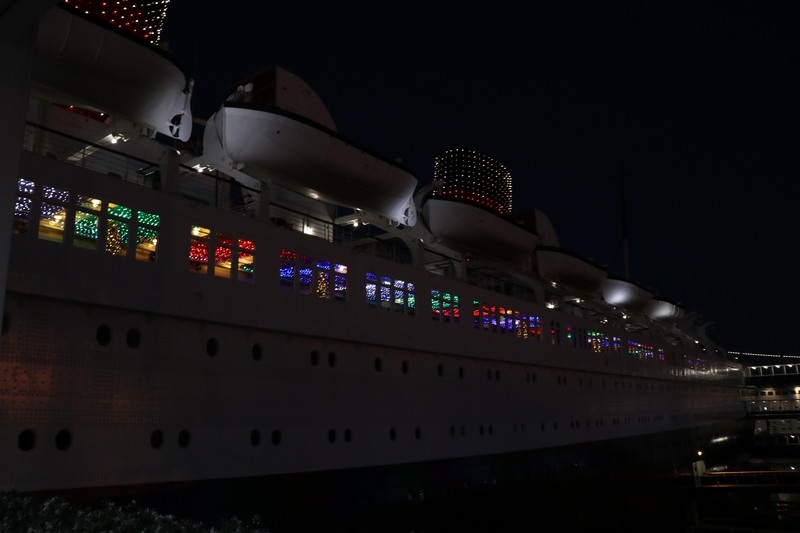 Instead of paying a cover charge for a silly night club, come aboard the Historic ship to enjoy a cup of hot coco, lights, music and wonderful decorations. 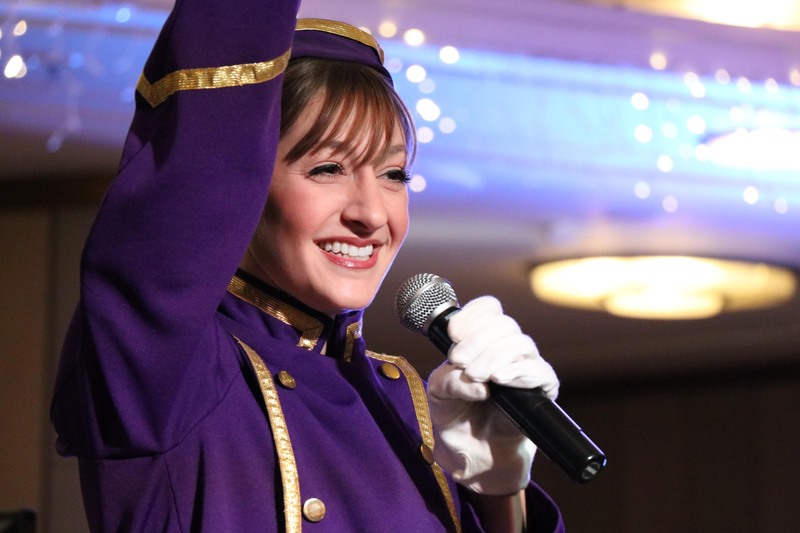 Like any event at The Queen Mary, there is a wide variety of entertainment offerings. 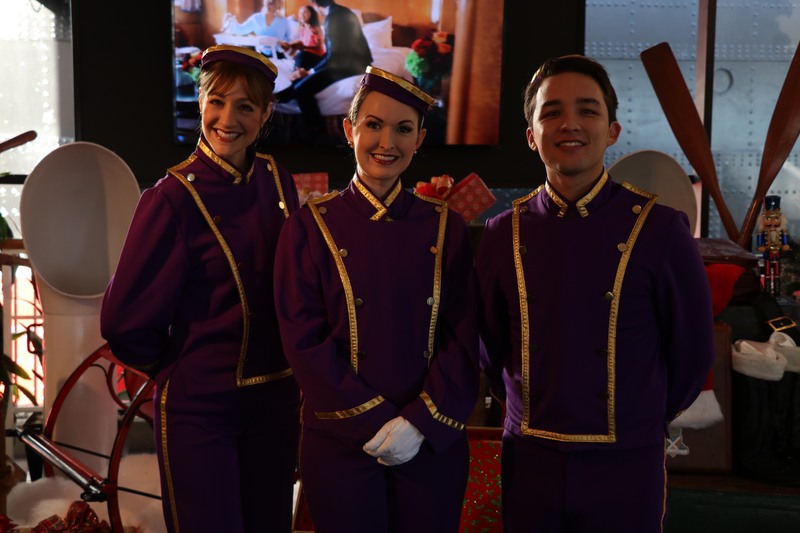 During the holiday season, you can find carolers roaming the halls of the ship or find singers taking the stage in the beautifully decorated Main Hall. Speaking of the Main Hall, you can find many different acts taking the stage through the night. So if you happen to come for the night, you can take a seat with a coffee or hot coco and enjoy the show. 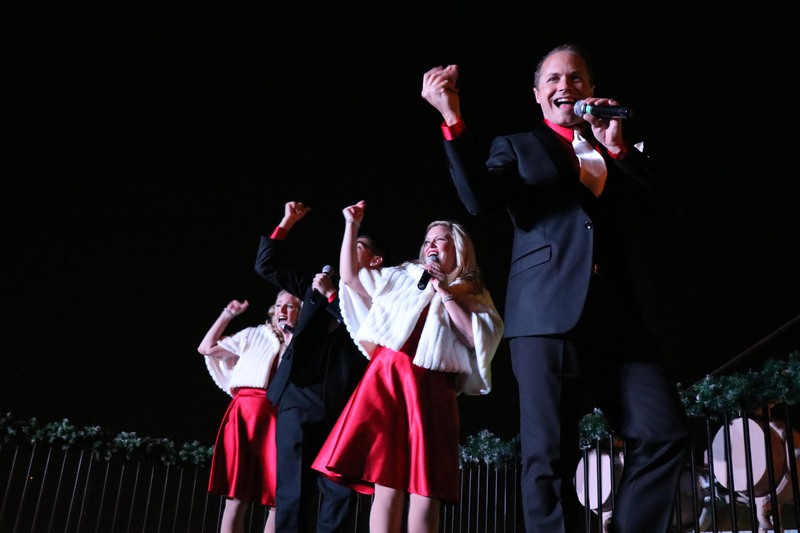 Other than the free entertainment aboard the ship, The Queen Mary is also offering Dinner Shows for the holiday season. For a fee, you can find yourself eating a three course meal with live entertainment from Holiday Follies or The American Bombshells. 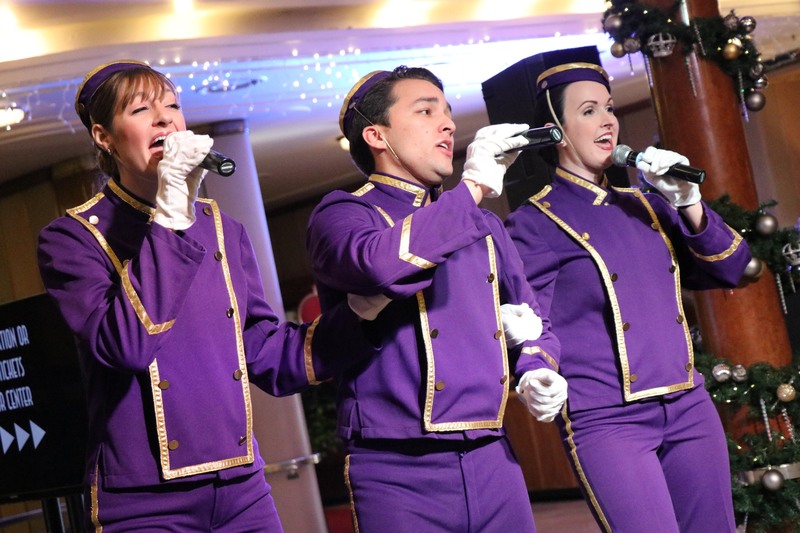 The Holiday Follies will take you on a fun-filled musical journey through the holidays! This spectacular features current arrangements of holiday classics as well as the traditional melodies that we all hold so deeply in our hearts. Frm the producers of TIBBIES Great American Cabaret, this show features a talented cast of performers and live musicians that will get your toes tappin’ and your fingers snappin’ in this cruise ship-style song and dance review! The American Bombshells bring you an All-American Holiday Spectacular as seen on the NBC Today Show, CNN, and venues around the world. 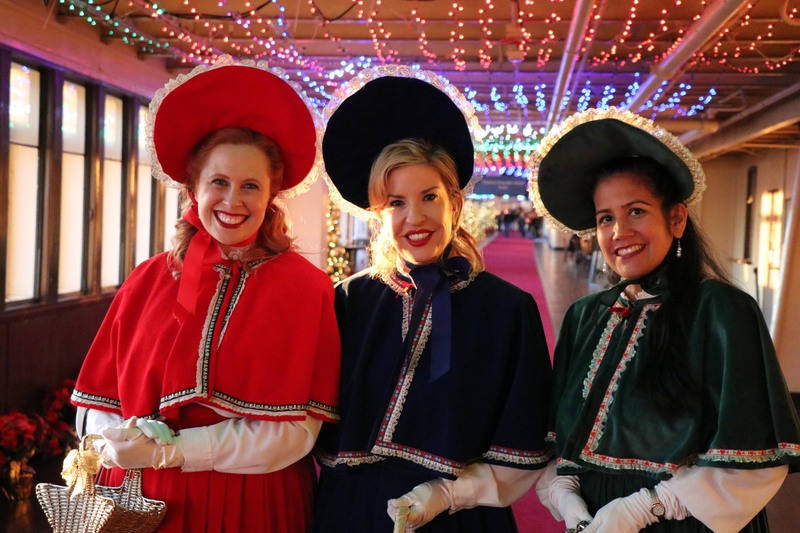 The American Bombshells holiday show is an Andrews Sisters-inspired show fitting for the whole family! When The American Bombshells aren’t entertaining by land and sea, they give back by entertaining military and Veterans and their families at bases and hospitals all over the world. 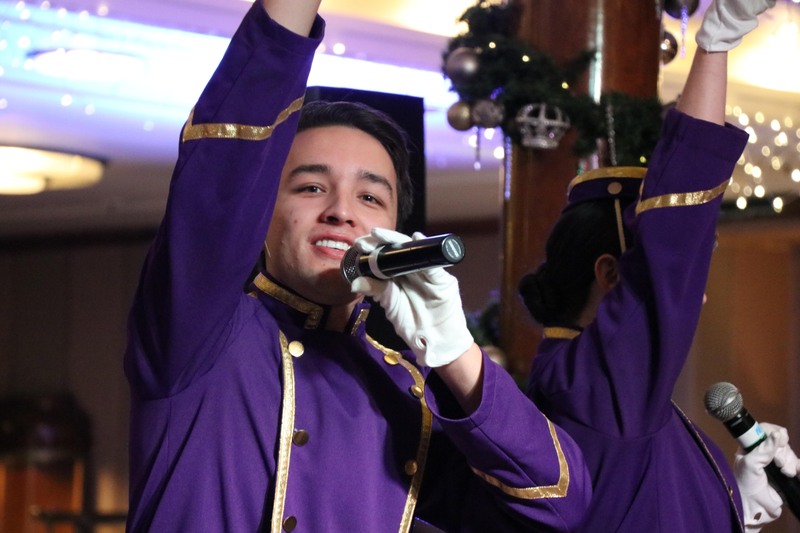 You will find yourself transported back in time, toe tapping to everything frm Boogie Woogie Bugle Boy to Santa Claus Is Coming to Town. So start making a list and checking it twice…The American Bombshells are coming to town! 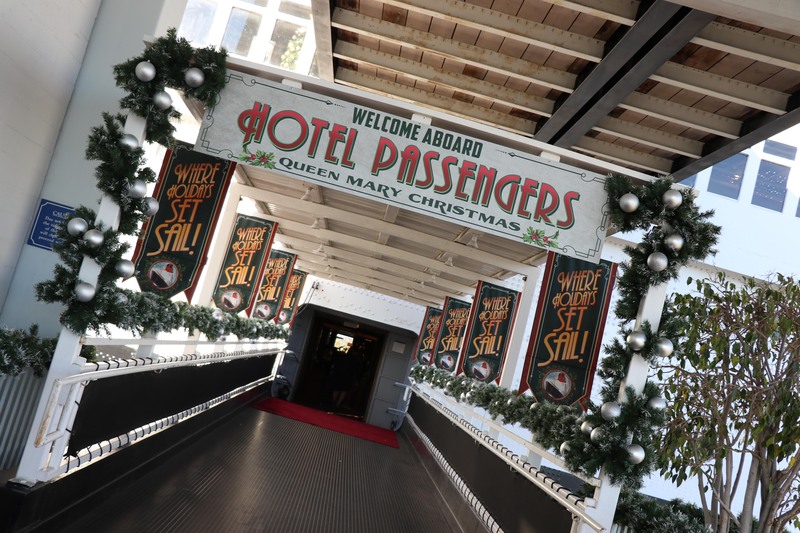 The activities aboard Queen Mary Christmas are very much rooted in traditional holiday fair. This is very much evident as soon as you enter the ship. 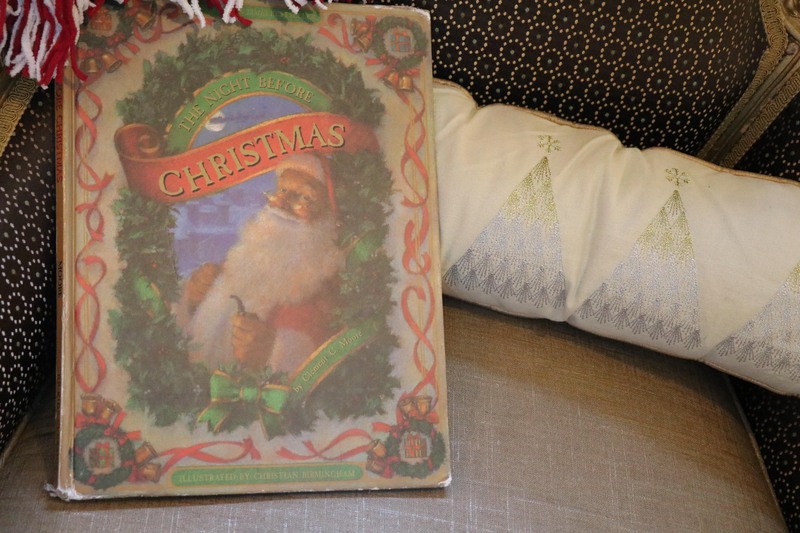 On a table near the Starboard Lounge, you can find post cards where you can write letters to Santa and tell him what you want for Christmas. This is actually a really cute activity that can get the kids really excited for their visit. They can even remind Santa himself to look in his mailbox for their postcard. Small touches like this, to keep the magic alive, always make us smile. What would a holiday event be without the big man himself, Santa! 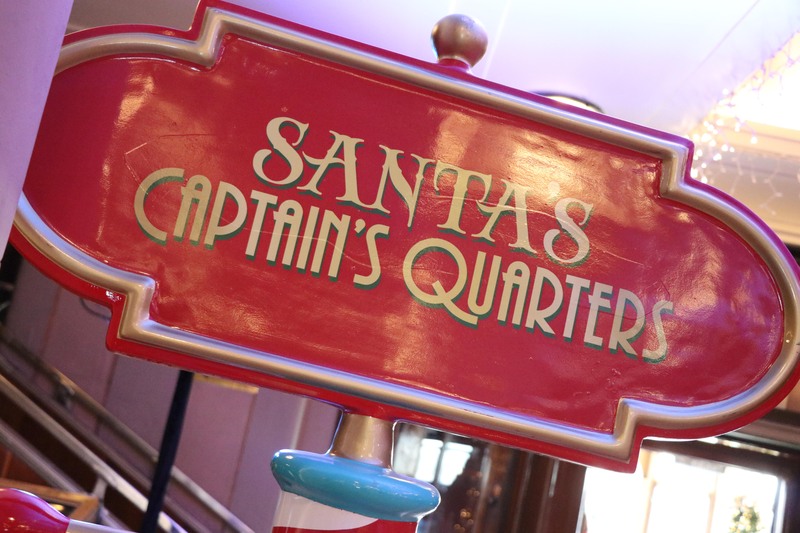 In his nautical inspired room aboard the ship, you can meet Santa Clause and get a souvenir photograph. 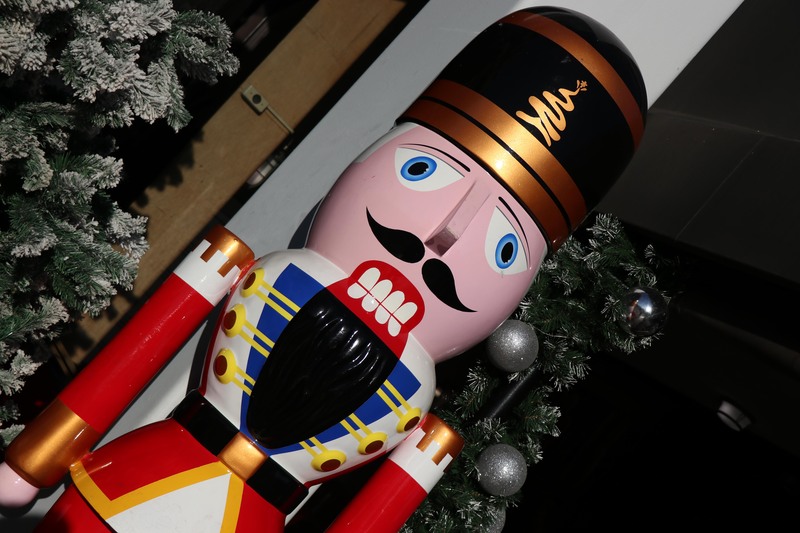 You better have been good this year or he might throw you overboard! 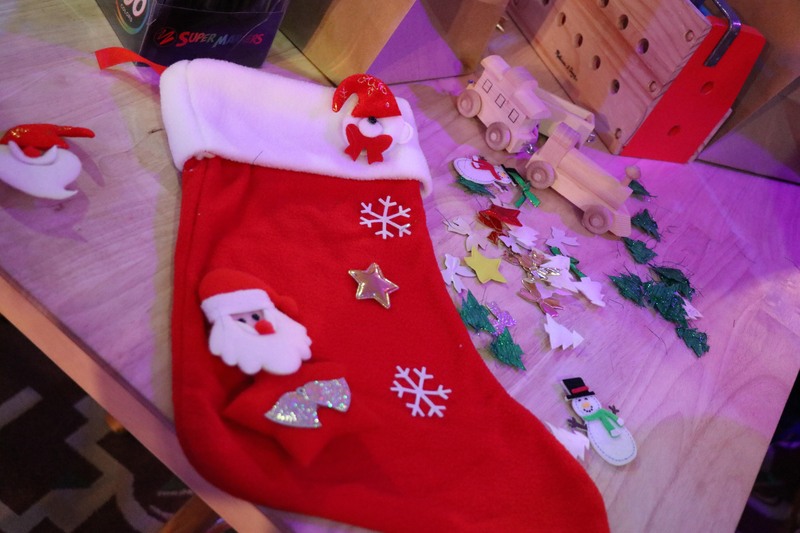 In the same room, you can find the stocking decorating. This is a rather cute idea for the kids. Keep them busy and have them take a fun and useful souvenir home. 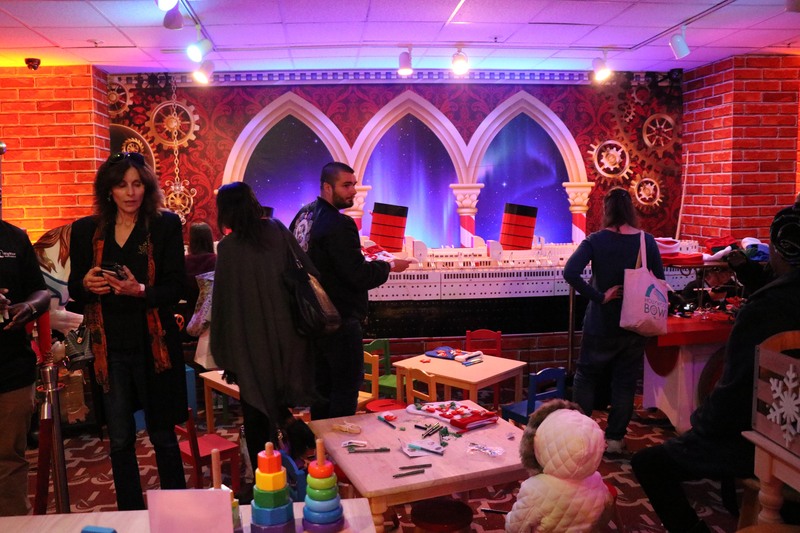 Although charming, we think this activity needs it’s own dedicated room aboard the ship. It felt very cramped and there really weren’t many people in the room. With more space, this can be a great activity for the whole family! 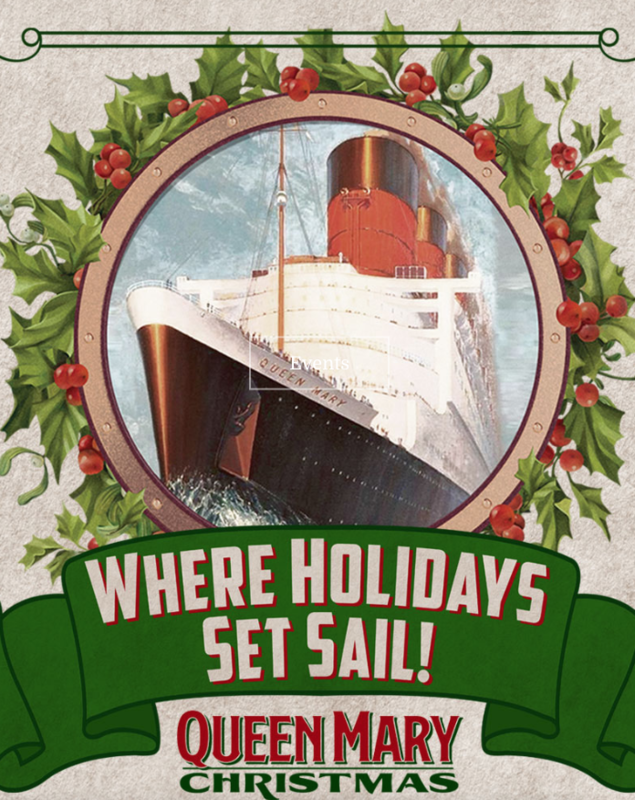 Families can come here all together and create their own stocking to commemorate their trip aboard The Queen Mary! 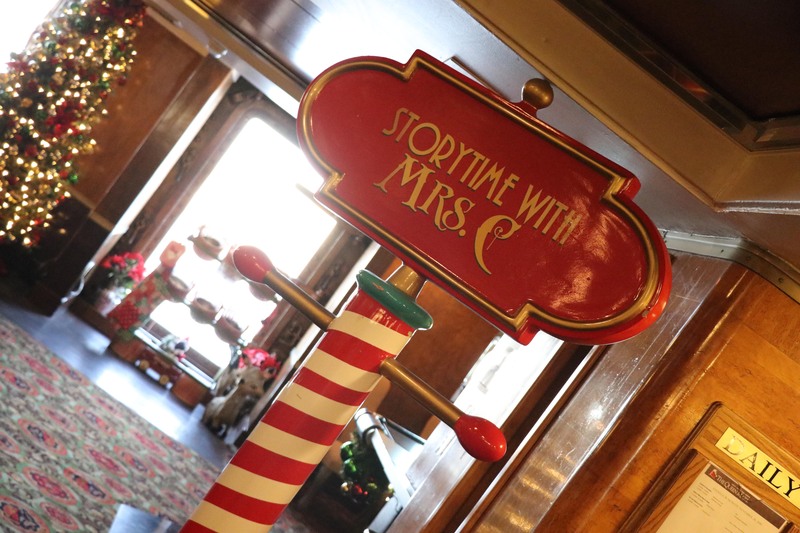 One of my favorite activities aboard the ship has to be story time with Mrs. Clause. 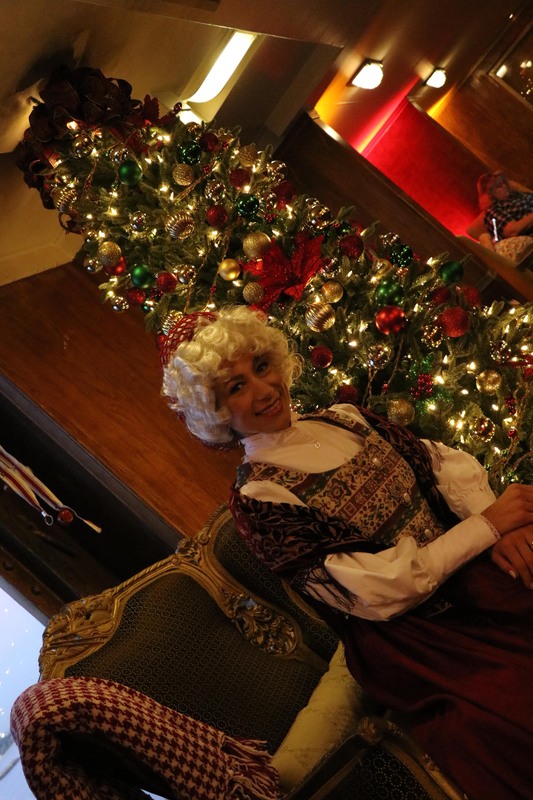 In the cozy Starboard Lounge, you can find Santa’s better half reading a story to all the children. The area is wonderfully decorated and feels like Mrs. Clause herself decorated. 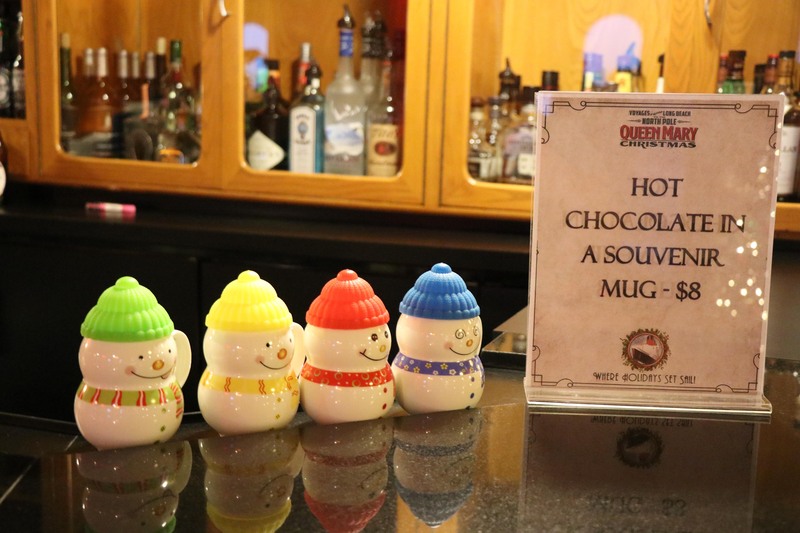 You can also find hot coco or some drinks with *ahem* extra holiday cheer. You can even purchase a souvenir mug for only $8! We love the cute series of snowmen but would have loved to see a mug with The Queen Mary on it! 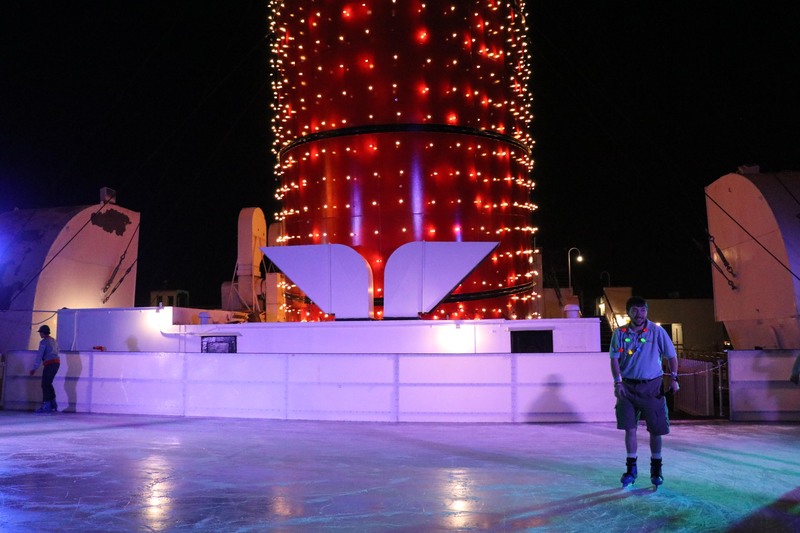 Probably the coolest activity aboard is the ice rink at the very top of the ship. Whilst ice skaing, you get a breathtaking view of Long Beach on cool winter nights. Although not our cup of tea, we know plenty of people who absolutely love ice skating and will take the opportunity to do so if the moment arises. This activity alone is worth the extra $15 price tag. Regardless of the view and price, watching loved ones struggle on the ice and possibly fall on their butts is priceless and will be a lasting memory for all! 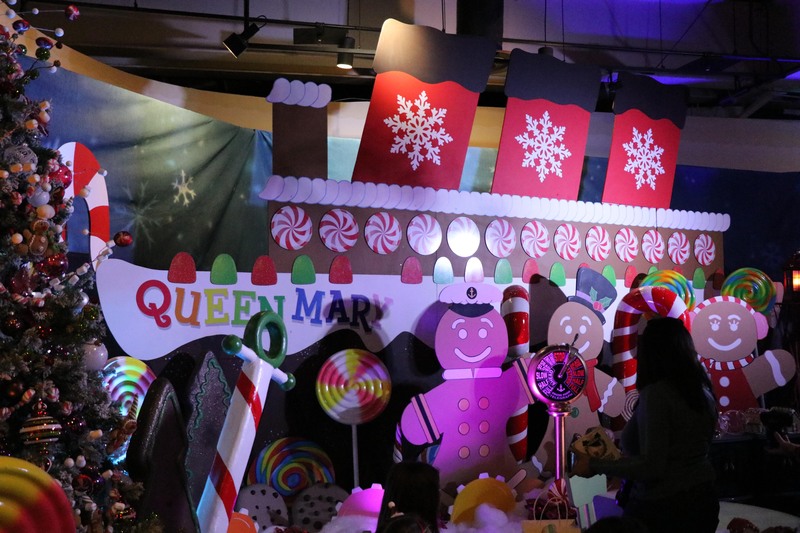 If you love building gingerbread houses during the holidays, The Queen Mary has you covered. 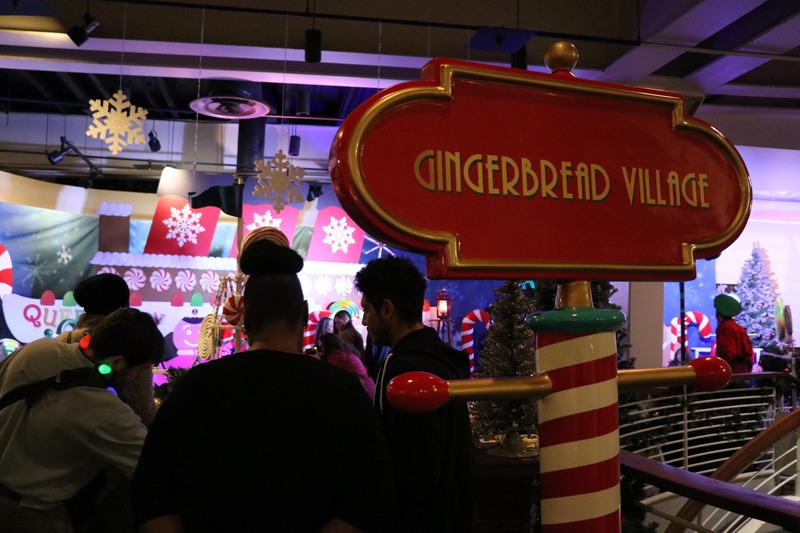 For a fee of $15, you can get all the supplies to build your very own gingerbread house to take home! Once again, this isn’t necessarily our cup of tea, but there were plenty of kids who were unbelievably excited to put their engineering skills to the test. 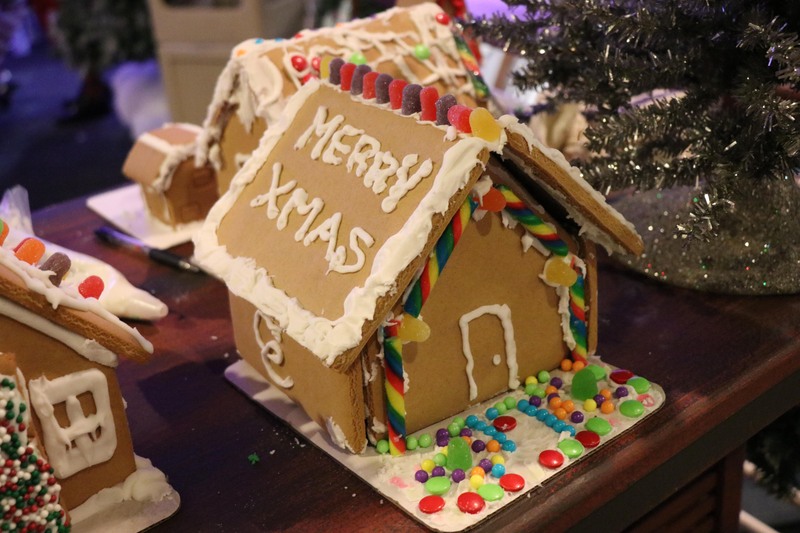 If anything, people were excited to see their houses fail so that they could shove the gingerbread in their mouths! The decorations around the area was actually very cute. 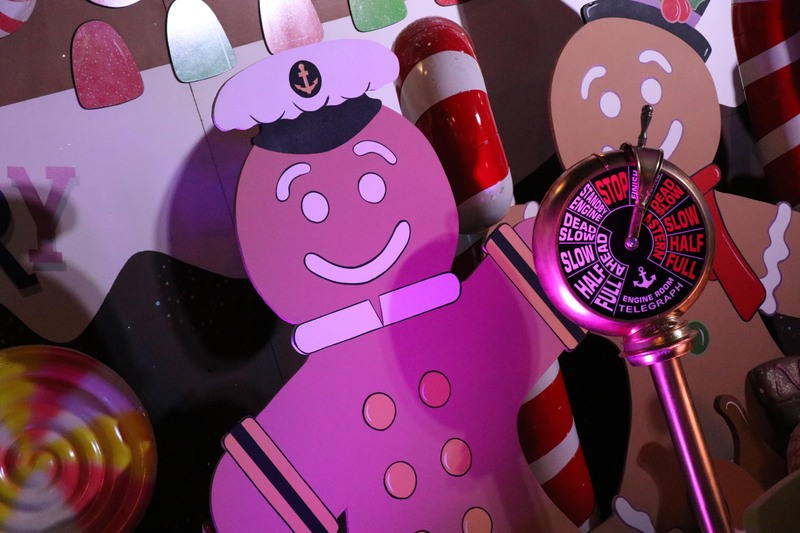 There was even a gingerbread Queen Mary and Commodore! 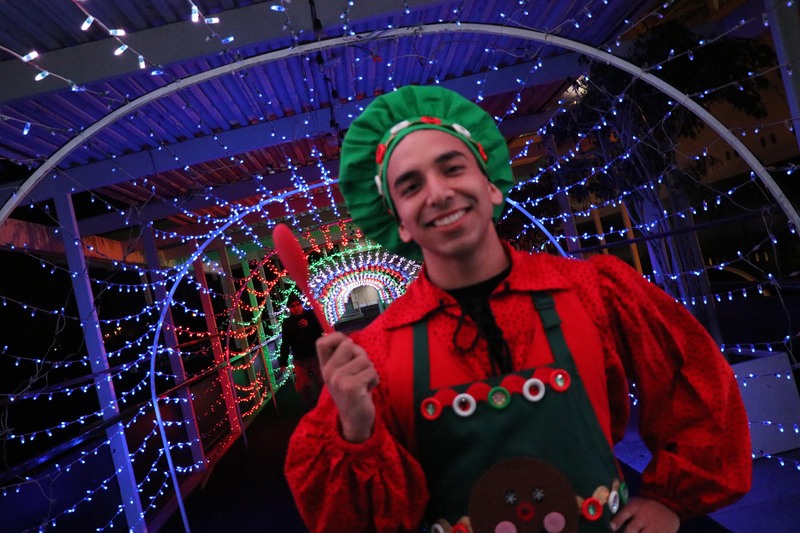 Alongside all of these offerings, you can also have Breakfast with Santa. For $39 for adults and $19 for children, every Saturday in December you have the opportunity to have Breakfast with the big man himself. 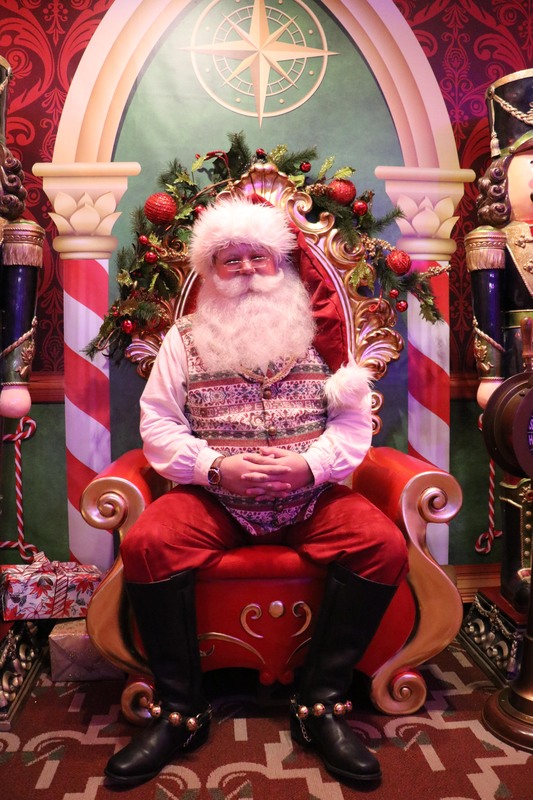 You can enjoy a pajama party breakfast, holiday stories, and the chance to take pictures with Jolly Old Saint Nick. The food offerings during Queen Mary Christmas were rather sparse. 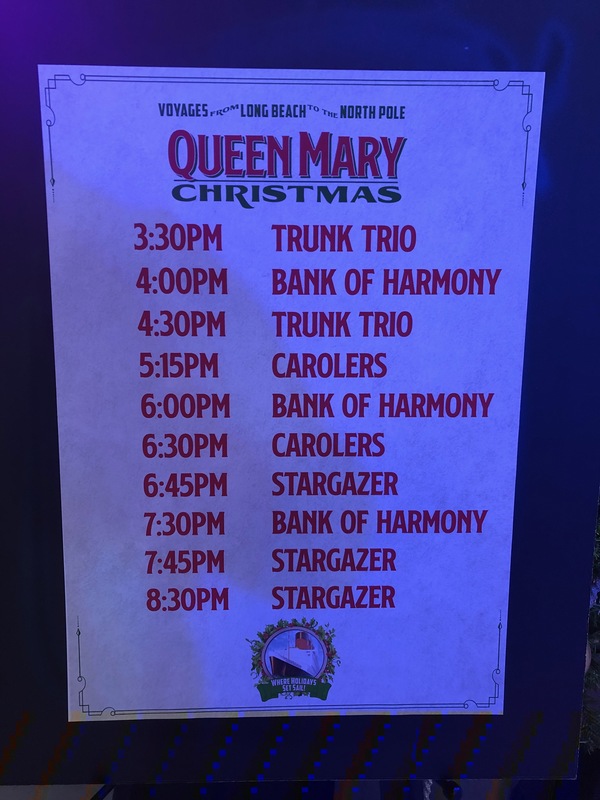 With events like Dark Harbor and Chill having multiple food and drink options and most of them being quick service, we expected Queen Mary Christmas to be no different. Although you have places like Chelsea’s Chowder House, Promenade Cafe, and Sir Winstons, which all have amazing food; the event is in dire need of quick service foods that are affordable and easy to eat. The only true quick service area was the Midship Marketplace. Need your caffeine fix? We’ve got you covered as our Midship Marketplace proudly serves Starbucks Coffee – so you can order your favorite coffee, Frappuccino or espresso, and indulge your sweet tooth with a delicious holiday treat, baked good or pastry. 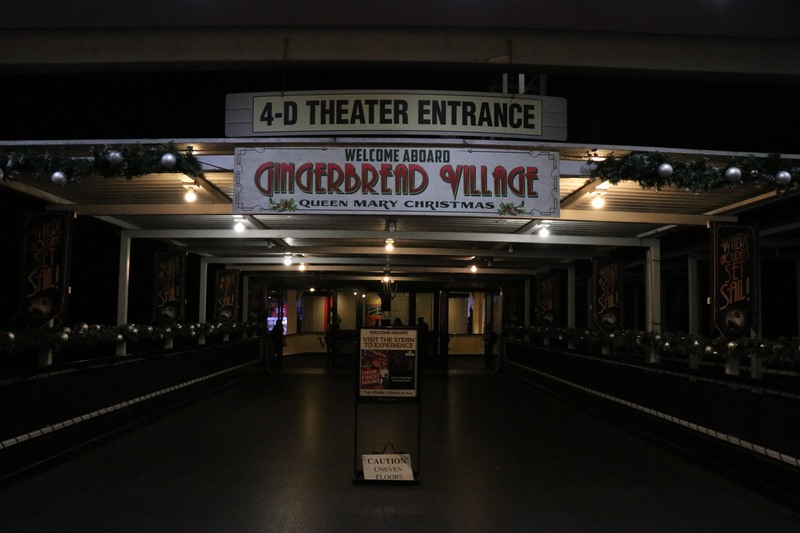 Although the food offerings at Midship Marketplace are okay, we expect more from Queen Mary than just pre-packaged sandwiches and snacks. Like many event aboard The Queen Mary, the options for adult beverages were a plenty. 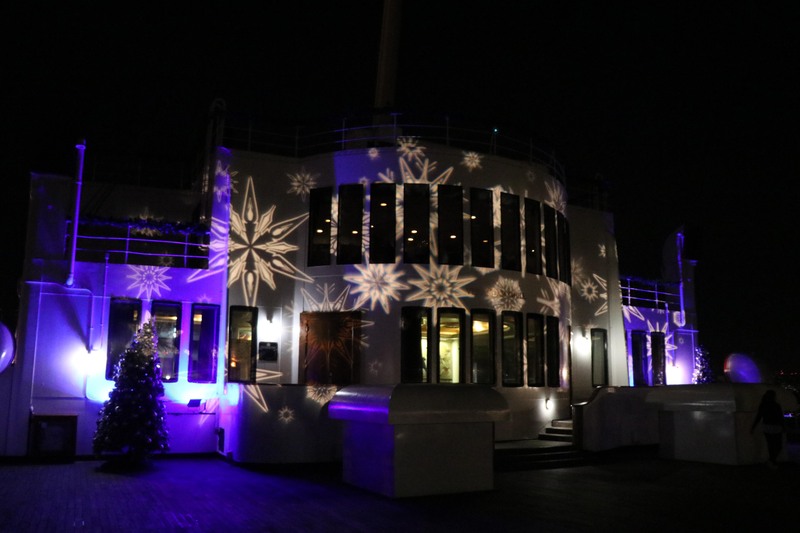 Our favorite place to grab a drink aboard the ship has to be the fabulous Art Deco, Observation Bar. 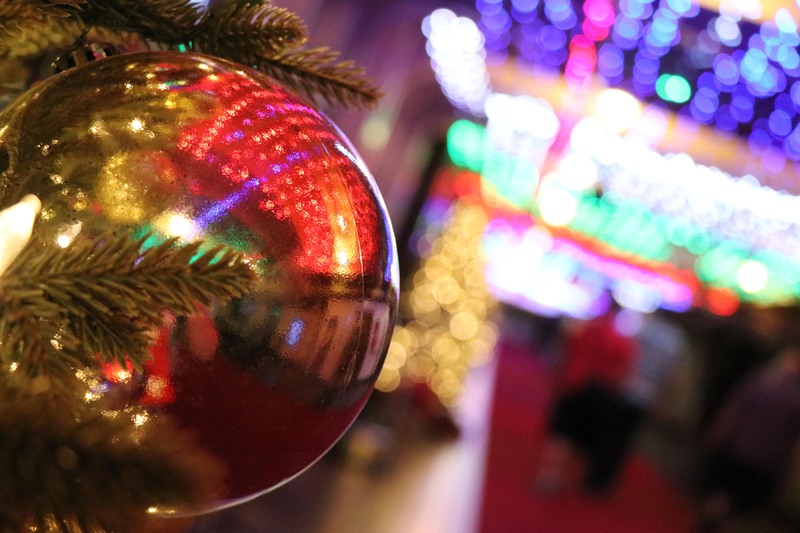 Here you can find plenty of holiday inspired drinks to keep you warm on cold nights at sea. 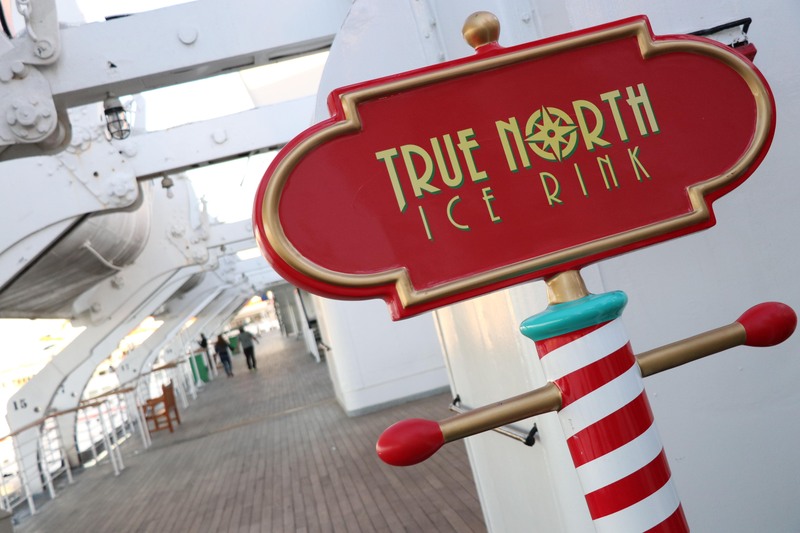 Next year, we would love to see a full array of holiday inspired foods, desserts and drinks aboard the ship. Having these type of options really helps make the event feel much more cohesive and almost adds another level of entertainment. 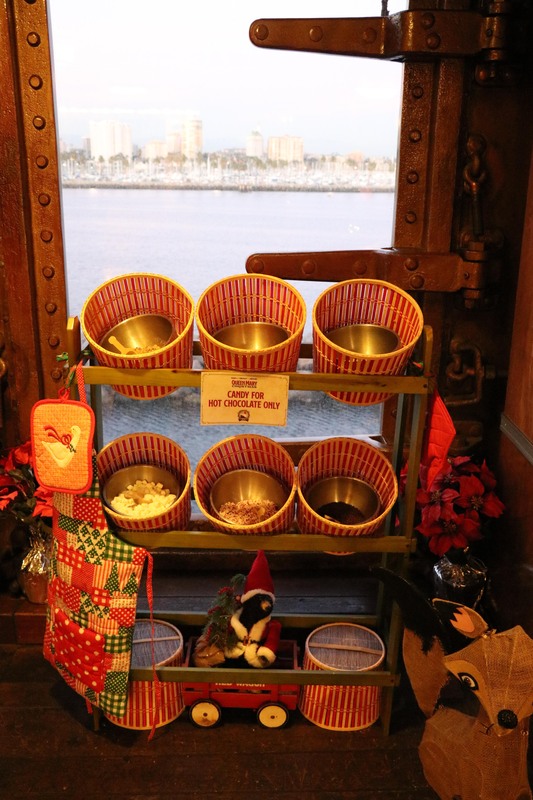 It can be a food scavenger hunt aboard The Queen Mary! 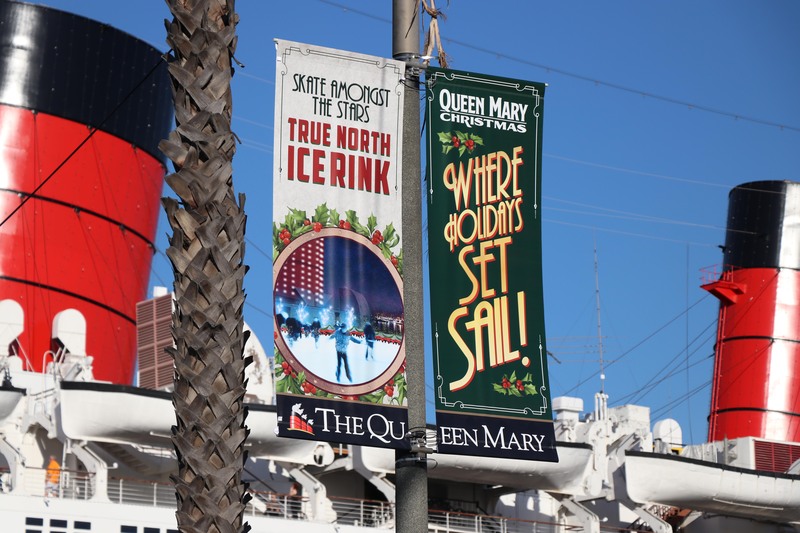 Albeit small, Queen Mary Christmas is warm, inviting and feels like a Christmas celebration out at sea. Although one can’t help but compare the size and prices to the previous years MASSIVELY SUCCESSFUL Chill event. Obviously we understand the limitations and challenges the ship provides in the planning and building process. But, we do feel that the ship was under utilized in many ways. We absolutely adore The Queen Mary and think it’s a beautifully kept piece of history and we want to see that shine through this event. 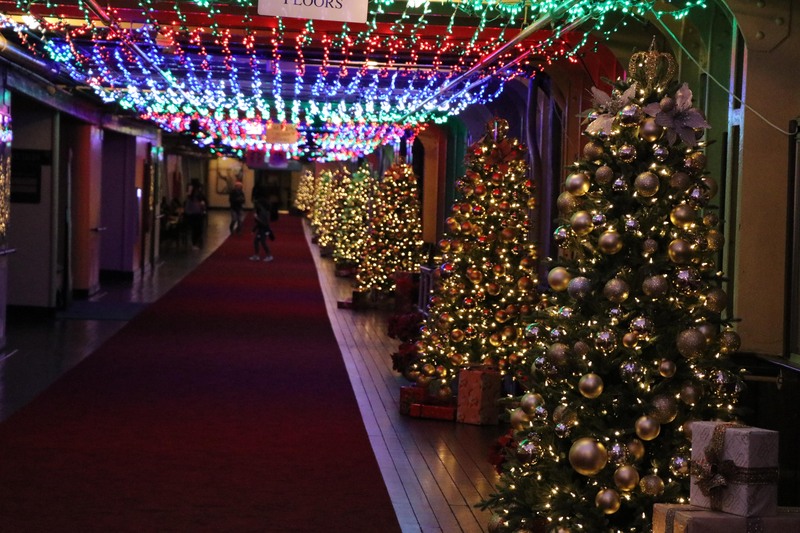 Even adding the beautiful stringed lightings, that could be found around the ship, to the outside portions of the ship would help make everything feel a bit more festive. 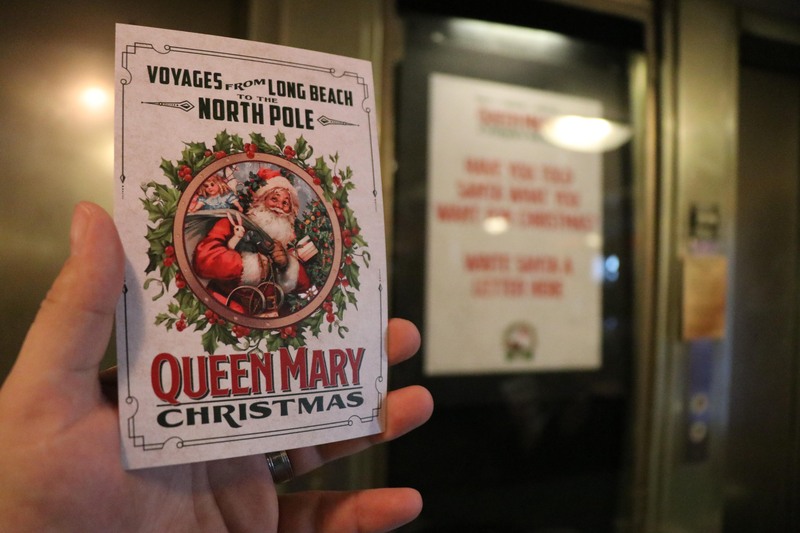 Even with our minor scrutinies, we still feel like Queen Mary Christmas has fun and festive options for the whole family to enjoy during the month of December. 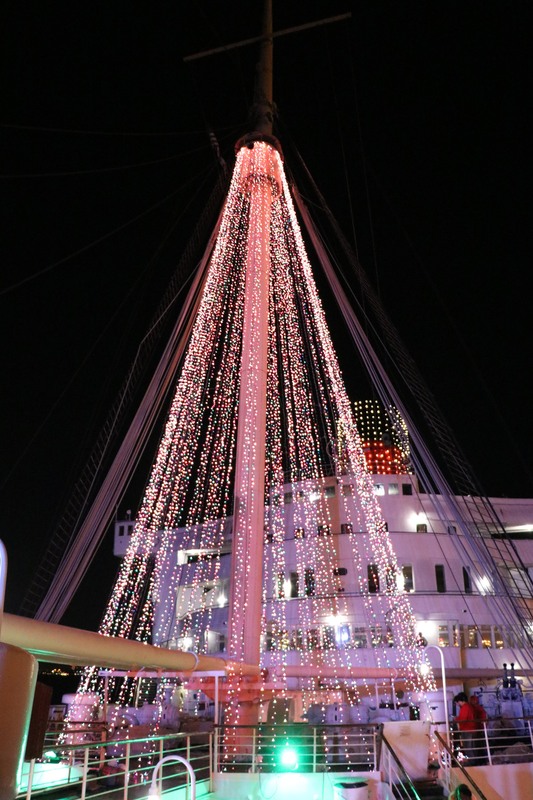 We are beyond excited to see this festive new addition grow and thrive aboard our favorite place in Long Beach!